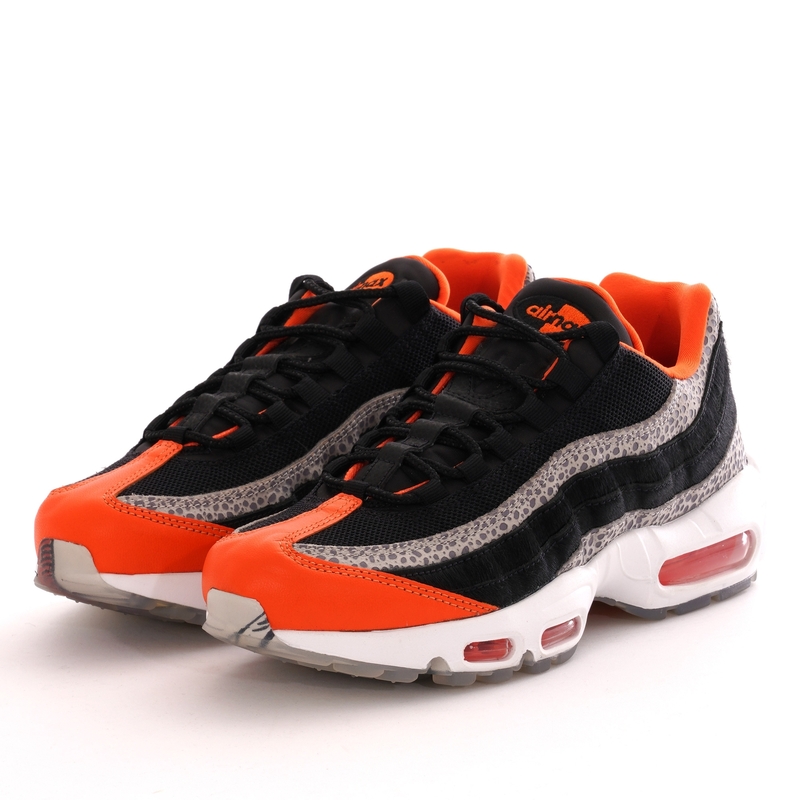 A stand out iteration of the much loved Nike Air Max 95 silhouette - famously inspired by human anatomy - this black and granite colourway is contrasted by hints of orange for a head turning effect. Featured in a mesh upper that is dressed in synthetic hairy suede and opulent snakeskin patterned leather overlays, a look of opulence is cemented with contrast branding to the tongue and tonal branding to the lateral sidewall at the heel. Sitting upon the AM95 foam midsole with visible Air cushioning to the forefoot and heel this sneaker this sneaker promises to perform whatever the weather over the course of the coming months.